Easy websites, easy to use content management system, self managed websites, self maintained web sites, DIY websites. Click here any time to easily build your own web site! - There is no obligation and no commitment with our 10 day FREE Trial. • FREE 10 Day Trial! • New Design at Any Time! All Chilli Websites include a FREE domain name of your choice for the life of your website*. Alternatively, if you already own your domain name we will assist you to easily delegate the domain name to your web site. *the free domain name applies for most common extensions (i.e. .com, .net, .com.au, .net.au, .co.za, etc.) but not all. The free domain name is only available while your web site is paid for and on Chilli Websites' servers. We believe that keeping our customers happy and responding to their needs and requests is the key to our success and our longevity. Below you can read what some of our customers have to say about us and you can view their current web site powered by Chilli Websites. We hope to see you and your web site added to this page soon! Really, really happy with the way things have progressed with both of my sites. Dealing with yourself and Chilli Websites is an absolute pleasure and you make it all so easy! As someone who is not really considered to be "tech savvy" and has had so many stresses with my web pages and web builders in the past, being able to do it all myself and achieve a great look at the same time is just so liberating. I just wanted let you know how impressed I am with the service and that I will be sure to sing your praises to other small business owners I deal with in the future." "What an easy to use system, we�re able to make changes to our own web site any time we like without paying a website designer and we�re very happy with the professional look." "I am delighted with the service and quality of my site builder from Chilli Websites. I found the site builder extremely easy to use, and I have no website building experience at all! My new website has ranked in the first page of Google in only it�s second week of being live and I would like to thank you for providing such a well optimised website package. I have received great service from Jay every time I had a question and found him to be very knowledgable about the site builder and website SEO. 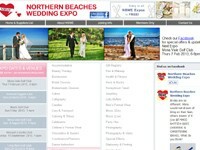 I would recommend Chilli Websites to any small business who want to develop an online presence." "Thanks so much, it�s been fun doing this. I am just starting up my own business. I have come from a large corporate, where we have spent 11 mths on recreating a website, and we still have not launched, how refreshing to complete a website in half a day." "Thank you Chilli Websites, for such and easy and cost effective experience. After having my website done twice professionally and it never really reflecting the image of my business, I can honestly say your company was a god send. 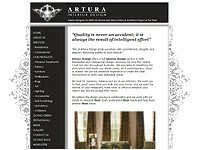 Not only does my website reflect exactly what it is that �Artura Design� does but I can make changes when ever it�s required myself. I have recommended this site to many people and will continue to do so. Again thank you. " "Self managing my three web sites is fantastic! This tool saves me countless hours and dollars and allows me professional, quick and easy communication with my clients and potential clients. 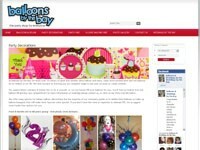 Thank you as well for all your customisation work of both the design and the back end tools." "I would just like to give you feed back and say that your product is excellent value for money. The CMS works a treat and your service & help have been a breath of fresh air! I had planned to get the new site done at night over the Christmas break, but I also had the baggage from the setting up of my previous website in my mind. I am just delighted that it’s complete and live!" "Your Service is great, I will definitely be recommending your company!" "As a small business without an in-house IT department, we are so happy with the ChilliCMS. As you promised, this technology enables us to keep our web site completely current � and I�m amazed at how user friendly it is. Your professionalism in setting it all up for us has certainly been impressive and we�ve already recommended you to 3 other small businesses in our area. Thank you." Professional designs - do not look like like most template sites! Easy to edit - as simple as sending an email! Instant access - your site is setup when you click "submit"! Detailed Reporting / Statistics - easy to understand! E-mail with webmail access. Free 10 Day Trial - try it out to see if it suits your needs! Search Engine Optimised websites - applied automatically! E-Newsletter - customers automatically subscribe/unsubscribe! Product catalogue/Shopping Cart - easily maintain your products! Directory - easily set up an online services / advertisers directory! Subscribe to our bi-monthly newsletter full of advice and ideas to improve your website!